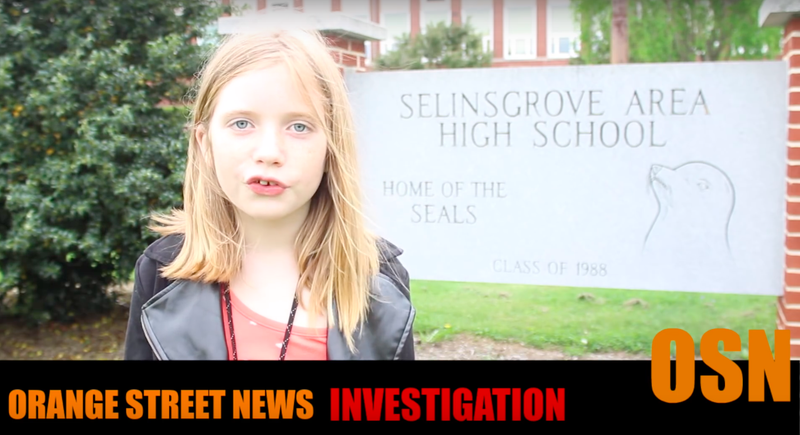 My favorite journalist Hilde Lysiak, the 10-year-old crime reporter from Selinsgrove, Pennsylvania who scooped local reporters on a murder story last year, has now earned herself a New York Times profile. The profile focuses on Lysiak’s four-book deal with Scholastic, which is based on her real-life reporting experience leading her publication Orange Street News, and the fact that her life story has also been optioned for a television series. In her interview with the Times she displays some of her signature excellent attitude, which Jezebel strongly endorses, telling the paper “I think a lot of adults tell their kids they can do anything, but at the end of the day don’t actually let them do anything.” Her admirable strategy for sniffing out tips is just biking around, asking people if anything strange is going on. Ms. Lysiak uses some of this money to pay her 13-year-old sister Izzy $25 a week to be her videographer. She credits her older sibling with making her paper a multimedia operation. Is any digital outlet exempt from the demands of video?! You are, Hilde! We salute you!